It's become a biannual tradition that DisplayMate tests the latest Samsung phones just prior to release and proclaims them to have the best displays everTM. DisplayMate isn't necessarily wrong, though. Samsung's displays are fantastic, and they get better with every revision. We've hit a milestone with the Note7 in particular. DisplayMate says Samsung's latest and greatest can achieve more than 1,000 nits of brightness. Samsung's displays get brightest when left in automatic mode. 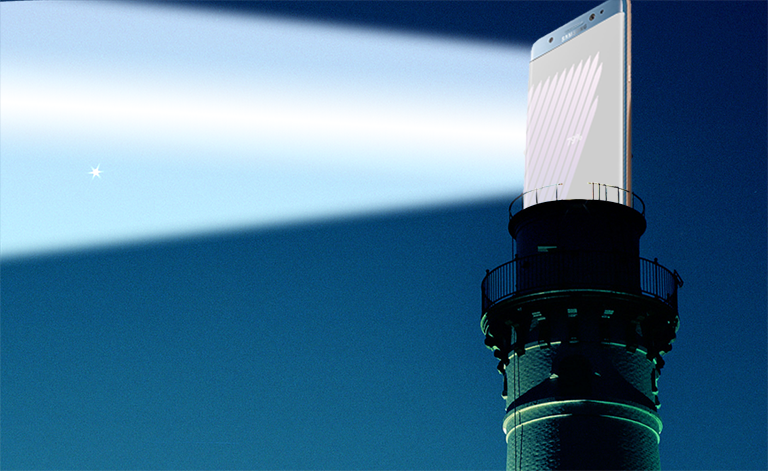 Take the phone outside, and it'll boost the brightness so you can still see what's going on. The Galaxy S7 had a peak brightness of 855 nits, which was the best at the time. Now, a whole four months later, the Note7 is hitting 1,048 nits in the same conditions. That means the contrast rating in those situations is considerably higher too—124 to 228 vs. just 119 to 186. The Note7's display only has 4.6% reflectance too, which is the lowest DisplayMate has seen. That's all in boosted mode, but it's still best-in-class if you turn off automatic brightness and just ramp the brightness to the maximum manual setting. In this mode the Note7 can hit 639 nits compared to "just" 440 nits for the Galaxy S7 in manual mode. So, leaving it in automatic mode gets you much higher brightness when you need it. The phone will also be smarter about changing the brightness thanks to a pair of light sensors. There's one on the back and one on the front. Other phones just have one on the front, but light from the screen reflecting off your face can interfere in a dark room. So best display everTM? Yeah, apparently.